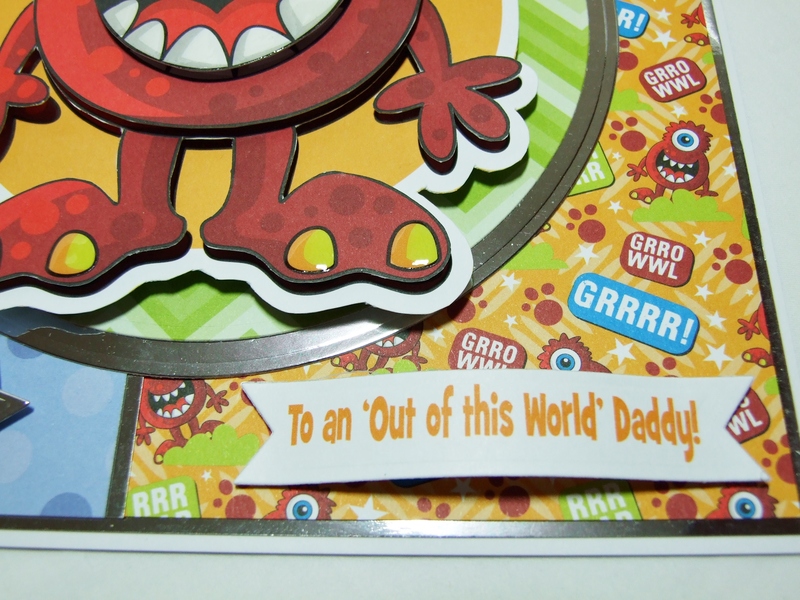 ‘To an Out of This World Daddy’….. 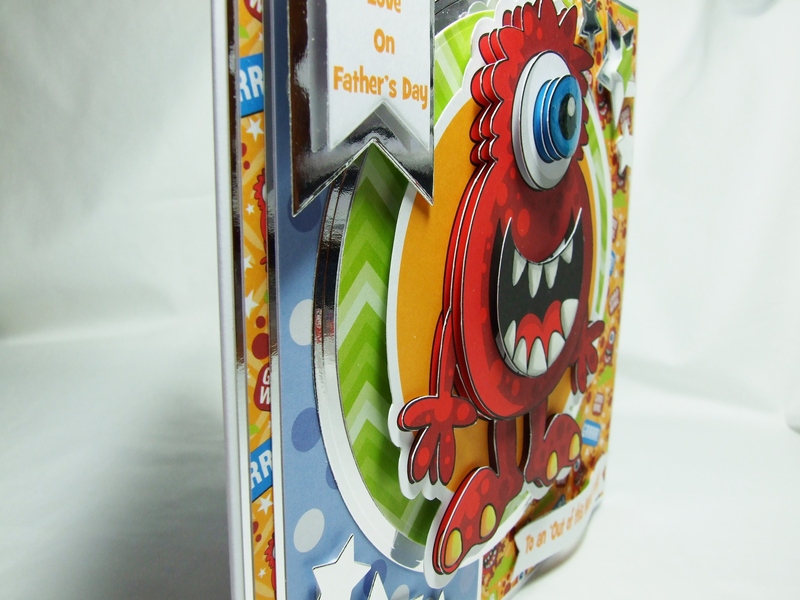 I used:Craftstyle Cut and Create Bumper Kit, Silver mirror card, Glossy Accents, Spellbinders star die, Spellbinders Circle die, Sizzix banner die,Kaisercraft banner die and lots of foam pads! Karen, this is awesome!, what a fantastic card, I haven’t bought anything from C&C for years as I lost interest in the items that they were selling, but this proves that they did do some fab kits. The grin on this sweet red monster is contagious! Sure it will be a big hit! What fun!!! Oh, my gosh, that’s so cute! What a fabulously fun card for Father’s Day! Super fun Father’s Day card! Love the monster! Oh this is just adorable!!! I LOVE that monster!!! Fantastic card, Karen!!!! I bet he LOVED it!!!! Too cute your little monster will certainly bring a smile to anyone.